We are Hopkins Studios, a husband and wife team of photographers who specialize in creating vivid, modern, and creative images for weddings and events. We call the Southeast home, but we are happy to serve clients all over the country. We know love travels – and so do we. Since creating Hopkins Studios in 2004, our images and our people-oriented approach have earned us some very positive recognition: We’ve won awards from both the Wedding Photojournalists Association and Wedding and Portrait Photographers International , and most recently we’ve garnered a spot on Brandsmash’s 2015 list of Top 100 Wedding Photographers . Our work has also been featured on websites including Brides.com, The Knot, and Huffington Post as well as in magazines including Grace Ormonde Wedding Style , Inside Weddings , and Destination I Do. We’ve also been paid the ultimate compliment: being asked by peers and industry professionals to photograph their events, including the wedding of a top executive at WeddingWire, one of the largest online directories of wedding professionals in the world. We are honored by these accolades, but we believe it is our experience and dedication to delivering outstanding, personalized service that truly sets us apart. Since we founded Hopkins Studios, we have been deeply committed to caring for our clients and to delivering photographs that evoke the magic of a once-in-a-lifetime day. Capturing a genuine smile – both in your photos and from your overall experience with us – is always our foremost goal, and no matter where your love travels, we stand ready to pack up the camera bags and bring our skills and service to you. To learn more about Hopkins Studios and our services, and to get a quote that’s precisely tailored to you, please contact us. You can also learn a little more about the team at Hopkins Studios below. 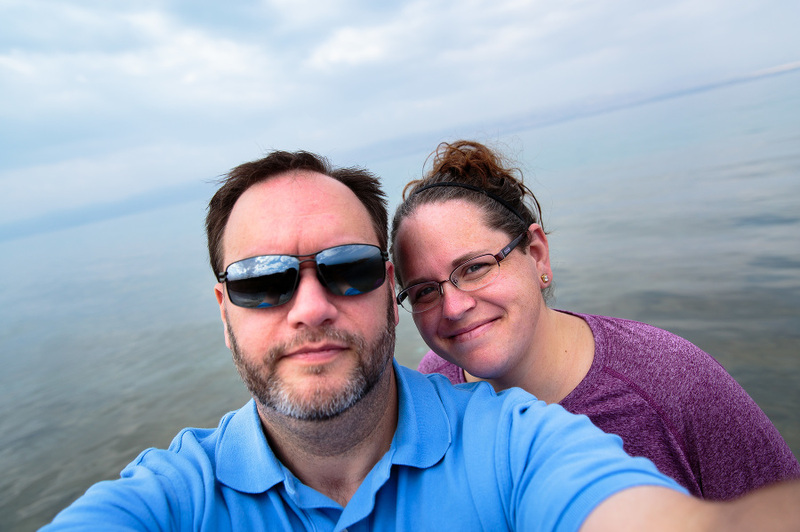 Hanging out in the Dead Sea in Jordan. Inspirations: Lately I have been finding lots of inspiration in movies and TV. Wes Anderson’s movies are framed brilliantly. Favorite camera: I’ve used all kinds of formats, but my favorite is a large format camera. There’s nothing quite like a 4×5 view-camera. Shot you always try to capture: I’m always looking for great reactions from the bride, groom, and their parents. Item you always have in your suitcase: Toilet paper. No explanation needed. Most amazing place on earth to photograph: Anywhere with spectacular light. Best wedding day advice to couples: Relax and go with the flow. Best advice to newlyweds: Make time for each other. Guilty pleasure: Collecting tchotchkes. I have something from every trip we take, whether it’s stickers, magnets, or coins. Our fridge is covered. Most amazing place on earth to photograph: Each new place we travel becomes my favorite, but I particularly loved Kyoto, Japan and Petra, Jordan. Best wedding day advice to couples: Take a moment and take it all in. The day goes by very quickly. Best advice to newlyweds: Don’t forget to take time for yourselves and travel. Get out there, get out of your comfort zone, and explore the world.